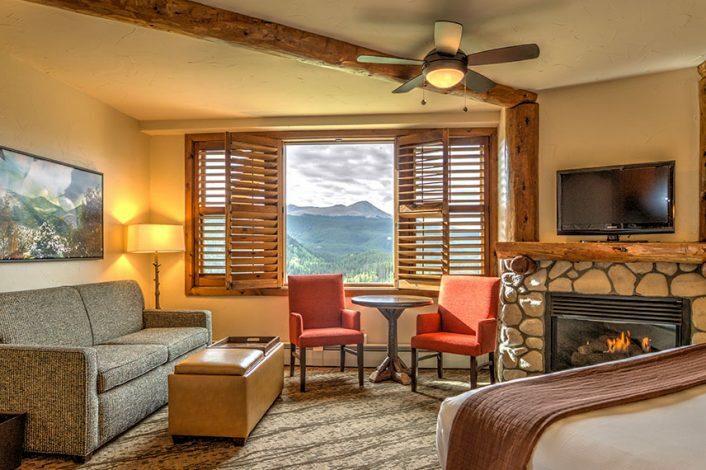 High in the Rocky Mountains, cliff side at an elevation of over 10,000 feet, the views are stunning, the air is fresh, and every one of our rooms is unique and pristine. All of our guestrooms, 45 in total, are non-smoking and full of rustic charm and modern amenities. Complimentary Sunrise Breakfast is served daily in the Traverse Restaurant and canine-friendly and ADA-accessible accommodation options are available. For those who need to spread out, we also offer 2 private luxury homes for rent. Adjacent to The Lodge, each 3-bedroom home is fully furnished and perfect for larger families, groups, and bridal parties. You'll feel right at home in our guest rooms at the Lodge. Some of our rooms offer private balconies, in-room fireplaces, or sleeper sofas. 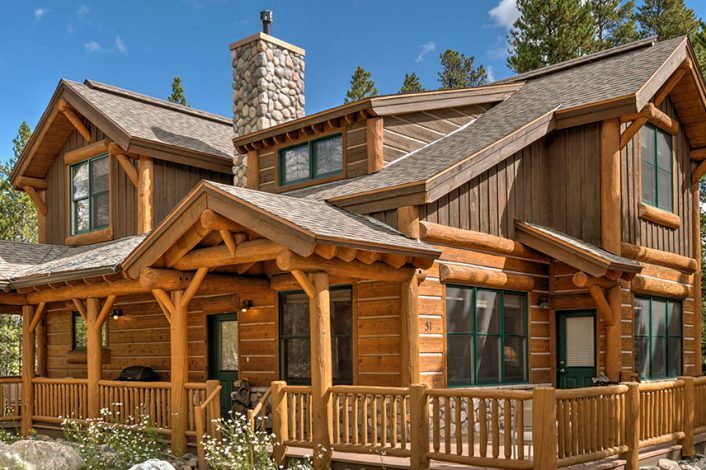 We offer 2 beautiful private homes for rent during your visit here in Breckenridge. The houses feature full furnished kitchens, in-house laundry and more.